Which version do I need – I, K, L? There are three revisions of analog chips that have been used in the AX80 – the CEM3372B, CEM3372C, and CEM3372D. These three revisions differ slightly in the analog specs, so the firmware adjusts the voltage presets for controlling them. So if you pick the wrong version for your synth, it is no desaster – yet we recommend to choose the best fit. The easiest way is to look at the factory ROM – it should be marked with the letter “I”, “K”, or “L”, so this is the type you should order. 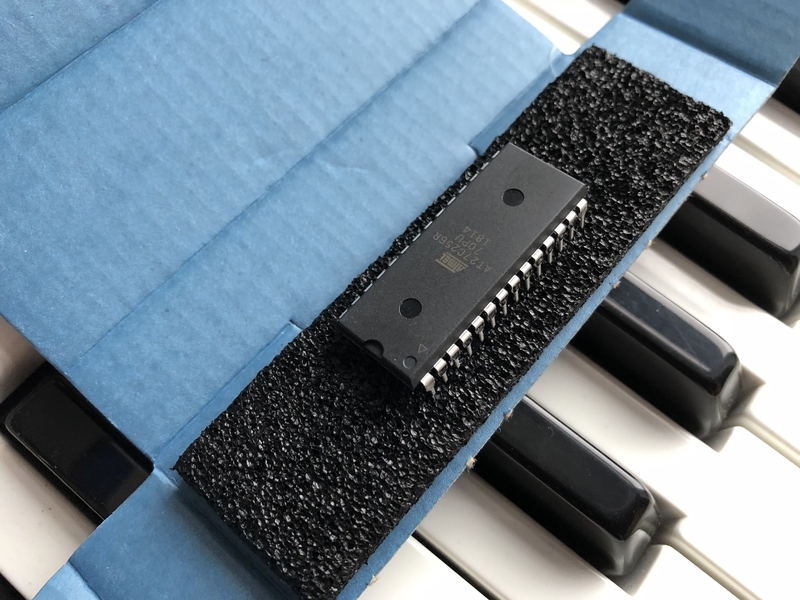 If the ROM is not labeled, have a look at the CEM3372 chips – and identify what you have: Type B chips need the “I” version of the ROM, type C the “K” version, and type D the “L” version. If in doubt, have a look at the AX-80 service manual, page 61. Upgraded replacement for the factory firmware (type needed can be found on the original chip's label, if you cannot make it out, please contact us) Firmware engineered by Bob Grieb (tauntek.com), sold with permission. License fee to author included. By the way: you may also download the code from Bob’s page if you would like to burn the PROM for yourself, provided you pay the license fee directly to him.